Ballet Memphis, a 32 year old professional ballet company, is a creative local and national resource as a maker and interpreter of Southern cultural legacy through dance, production and training. We actively seek to create, present, and teach ballet in a way that celebrates the human spirit. We have built a Company that is reflective of the people we serve – beautifully diverse in mind, body, and soul - and built it with people who understand we do what we do in the service of others. 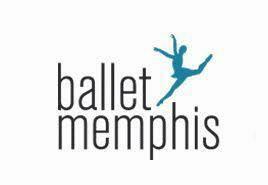 Ballet Memphis encompasses the Company, the School, Education and Community Enrichment and the Pilates Center; it also tours nationally. We integrate all of our programs, communicating internally and externally in ways that build and promote our culture and core values providing meaningful experiences to all our participants. This position provides leadership to financial management and strategy in a way that builds credibility, trust, and transparency with internal and external stakeholders and ensures financial sustainability. In addition, this position will oversee other administrative functions such as Information Technology & Systems, Human Resources, and vendor management. This position directly assists and communicates with the Executive Team and Board of Directors on all strategic and tactical matters related to budget management, cost benefit analysis, forecasting and providing support for earned and fundraising revenue streams. The position reports to the CEO/Founding Artistic Director and serves as a member of the Executive Team. This is a salaried full-time position with compensation commensurate with experience. Please send cover letter and resume to athompson [at] balletmemphis [dot] org.